… or to alienate the customer entirely. In this in-depth interview, Wharton’s Peter Fader and Sarah Toms give you insights on how to do more of the former, less of the latter, and profit as a result. 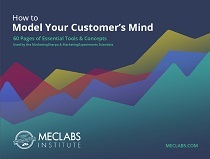 With the launch of the complimentary MECLABS Institute Mobile Conversion micro course (MECLABS is the parent research organization of MarketingSherpa), we’ve been taking a closer look at mobile marketing. So I recently interviewed Peter Fader and Sarah Toms for their perspective on mobile marketing. Peter Fader is a professor of marketing at The Wharton School of University of Pennsylvania and Sarah E. Toms is executive director and co-founder of Wharton Interactive. In addition to his activities at Wharton, Professor Fader co-founded a predictive analytics firm (Zodiac) in 2015, which was sold to Nike in 2018. Fader and Toms co-wrote the recently released book The Customer Centricity Playbook: Implement a winning strategy driven by customer lifetime value. In this wide-ranging interview, which has been edited down from our conversation, we discuss focusing on the right data, customer rewards programs, and mobile engagement tactics, as well as touch on examples from Electronic Arts, The Los Angeles Dodgers, Starbucks and Best Buy. 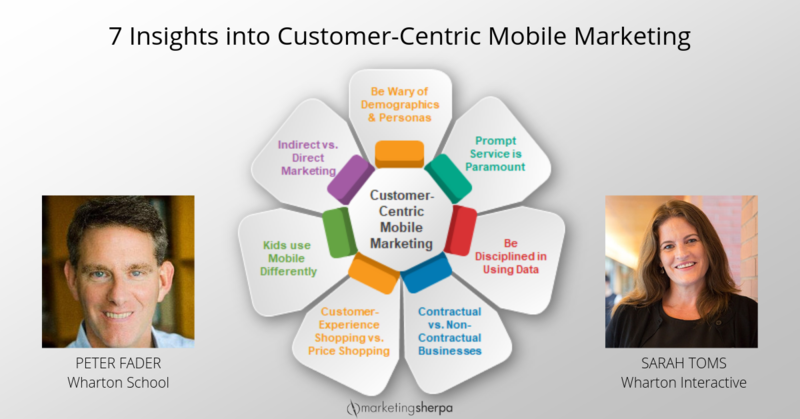 MarketingSherpa: Has the rise of mobile made customer centricity easier or harder? Peter Fader: I think there's no doubt that it's made it easier in lots of different ways because you do have the two main tenets of customer centricity. One is the necessity to tag and track each individual customer to know not only what they're buying and when but what they're doing and when to be able to get that 360-degree view. And then the second part is the ability to communicate with them, to treat them in different ways, to make it both context-dependent as well as dependent on what kinds of behaviors they're doing at any given time. So mobile is just a fantastic way to accomplish both of those things. I guess the problem is it can let you do other things too that might be almost a distraction, but if you can be pretty disciplined about it, then mobile is not only beneficial to customer centricity, it’s almost required. MarketingSherpa: What do you mean when you say you don’t want it to be a distraction? And do you have any examples of that? Fader: So we want to be really, really disciplined about what kinds of behaviors are worth tracking. So, for instance, one of the real hot topics these days, although I think I'm correct in saying that some of the shine is off it, is the idea of geolocation. There's this kind of myth that if we can catch the customer exactly at that time, and they're walking by the Starbucks, and we serve them up with that coupon — that amazing things will happen, and money will come raining down from the sky. We have to understand the limits of what it is that we can know and the limits of what it is that we can do; just because something is technologically feasible doesn’t mean that it's necessarily very effective. So the kind of Pandora's Box that mobile is, while it gives us the ability to track in a way that was just inconceivable, it also invites us into a fantasy world where we think we have much more control over the customer than might really be the case. MarketingSherpa: I want to dive a little deeper into that because that’s interesting. That’s the opposite of what you hear in many places. It seems like one of the biggest benefits of mobile is geolocation — knowing where customers are, where they're going through — that would be helpful for brick and mortar stores. It's really helpful in general to see their habits and target them better. So why are you skeptical of geolocation? Fader: Because 99% of geolocation data is garbage. Most of the time knowing where someone is is irrelevant. They’re just passing by. In the old days, the blessing and the curse was, all we knew was who bought what when. And that got us pretty far. And even today most of what we need in order to project someone's lifetime value and understand when they're [receptive] to different types of messages can be picked up just from financially oriented behavior alone. And then you get your second one, your third one, and by the time you get your 10,000th one you realize — this is annoying. And I think it's that same way with geolocation, that most of those pings are about as irrelevant as all those commercial emails that you get today. Sarah Toms: When you're thinking about mobile — and we spent a lot of time talking in the book about the problems with and being very wary about demographics and personas — just because somebody happens to be walking by the store, does that really tell you enough about that person? Probably not. And so what we're really looking for is what specifically is there about this customer, about their value, and how can we really leverage it and make it even better? Has the pendulum swung too far to measurability? But now the tables have really turned and again, mobile, being a big part of that, it’s just so much easier to know who you’re talking to or who you’re targeting, and I think that’s a great thing. It goes back to the whole idea of those two main pillars of customer centricity that I mentioned at the outset. So it’s great to see the shift taking place. But at the same time, we still want to have the full balance. And there's a lot of people who believe that because direct is so easy and it is effective that there’s just no reason to shout it from the mountaintops anymore, that everything we should be doing should be through mobile, and we don't need to do big broadcast advertising anymore. I think that would be a pendulum swing too much in the wrong direction. There still needs to be a balance there. MarketingSherpa: Is that because of the power of branding? So when someone sees it on mobile they already have an affinity to that brand? Fader: Well, part of it is that as good as mobile is, there is still sometimes when the right message is kind of a faceless nameless one — as much as you want to ignore billboards on the street or ads on bus stops and even regular old TV — there's still a really big cumulative effect of all of that stuff. And a well-designed, well-coordinated campaign just adds so much that a lot of direct messaging alone could never fully make up for. Toms: Along those lines, tying it back to your business insights and your CRM system, especially when you're running these marketing campaigns, is very hard to do with the broad. You don't know it's had an effect. You can run a lot more experimentation as to your messaging and whether you're actually getting through to your customers and you are driving better value and better value proposition back to your company when you're doing that direct pitch. MarketingSherpa: What are companies doing well in mobile in general? Fader: Well, they recognize the two-way power of it, the tagging and tracking as well as the granular targeting. So let's give them full credit for that. The only question is, in what cases are they going too far? And I'm not only talking about kind of stuff where it starts getting creepy, like how do they know that about me? But again, there is targeting on contextual aspects that might not really be tightly associated with customer value. For the most part, it's good. And again, we wouldn't be having this conversation, we would not have written our book, if not for some of the advances that mobile has brought to marketing. But it's just a matter of, again, finding that balance. And helping companies walk before they can run. Take full advantage of the kind of old-school behavioral data before you jump into the geolocation and some of the cool new stuff so you can understand and appreciate the incremental value that it brings. Toms: I also think that as disruptions continue and technology continues to enhance and improve we're getting to the point where interfacing with our technology is becoming more and more integrated. So when I think about my Alexa device and how many times I'm ordering things (not even thinking about the cost) it's just, you know, I need more detergent, I need this, I need that, and it’s just in time delivery, and the next thing I know — it arrives on my doorstep. I think we’re going to get to a point very quickly where with mobile, it doesn't really matter what the technology is. It’s how we're making sure that you're able to present your goods in a way that's frictionless to your customer. Fader: Mobile has also responded to and caused as close to a fundamental change in customer behavior as can be. The idea of customers having that kind of instant gratification, whether it's information, or whether ordering products and services or when they have a complaint and they want to tweet it out or call customer service right away, they don't have to write a strongly worded letter anymore. Because of that got-to-have-it-now kind of thing — that's all driven by mobile. And that kind of raises the bar for customer centricity and makes it that much harder. Customers are in kind of go-go-go mode. So mobile does offer that kind of first line of defense and that trend is obviously only going to continue. MarketingSherpa: Some of what you're saying is a little counterintuitive when compared to the conventional wisdom around mobile marketing. You were saying to take advantage of that old-school behavioral data before doing other stuff. Do you have any good examples of companies that are doing that well? Fader: Sure. Let me first give the general statement about it. It goes back to old-school direct marketing, which used to be looked at as an oddball industry. But now, whether companies want to acknowledge it or not, everybody is a direct marketer today. I think it behooves us to learn from the lessons that our direct marketing forefathers put out there for us 50-odd years ago. High on the list is the notion of RFM. They spent a long time trying to figure out what are the observable characteristics of customers who tend to be associated with high future value. What are the KPIs of future lifetime value? They went through a lot of interesting data work. And they discovered it was Recency, Frequency, Monetary value. If you told me the last time that someone bought something from me, the number of purchases that they made over, say, the last two years and the average size of those purchases, that's all I need to know. And it turns out that RFM is just as powerful, just as valid today as it was back then. So I want to see companies first embrace all of that data and really squeeze all the value out of it before adding a lot of the other kinds of observable signals that mobile provides to us today. 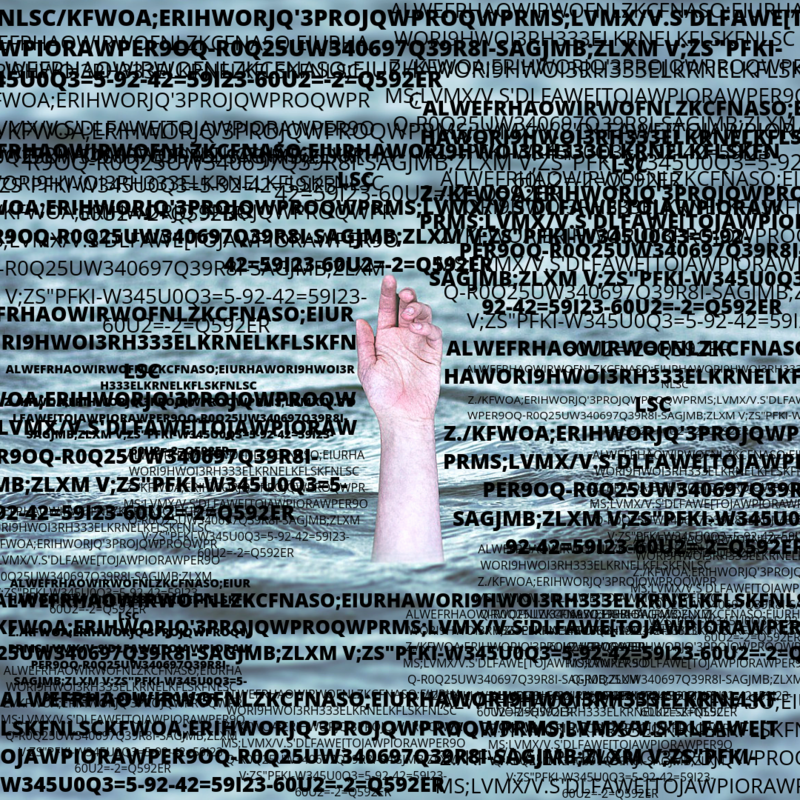 Fader: Every company today is just swimming in an ocean of data … if not drowning in it. And at the top of the list, a company that we really highlight in the book, is Electronic Arts. And the data that they have is incredible because not only can they track who's playing their games in the mobile setting but even on the console, the old-school gaming platform. And getting back to one of Sarah's earliest points — it's all tied together. They have amazing data, the ability to really see who's doing what, where and with whom, what games they are playing, what micropayments they are making. Incredible data. But instead of trying to ingest all of it and use all of it, they know which bits are going to be most predictive. They pray at The Shrine of RFM. And every single day they're looking at this ocean of data, and they’re recalculating a customer lifetime value for a billion customers around the world. Every. Single. Day. They're saying how much more future value they have today than they had yesterday. And if they're going to do that, they need to be very, very disciplined about it. They can't possibly try to use all of that data. And so they know they need to start small and only bring in all these other signals when they have to. It’s a really great example of being disciplined about it even though they have all this rich data, and they know when to use it. Toms: They're also using that data to help inform the game studio. If something has done really well with their high-value customers, they'll tell their game studios and give them that feedback and say “more of that please.” And then the same if things haven't landed well. [They tell the game makers that] this is a very important data point for you to know in the creative process — this really landed well with our high-value customers. Let's think about other ways we can take this and expand upon it for future games and future scenarios that we build out in our games. That balance between the creative aspects of the company and then the data-driven aspects and how that's all really come together and really shifted their culture over the last decade, it's been incredibly interesting. MarketingSherpa: So looking at all of their customers, but specifically where their high-value customers most got value and did not get value, it sounds like it has gone past their marketing to their product creation, that they're deciding what value to create based on their high-value customers and how they react. Toms: Exactly. When they realized the power of the data that Pete was just talking about, they had a bit of a crisis about identity. They have shifted and now understand that there’s a lot of synergy between the two. Data is actually a good thing that they should be embracing because it allows them to be even more creative. Pete uses a really good metaphor when we teach this in class. He talks about the cooking shows where they have cooking competitions, and these chefs are doing incredibly creative things with ingredients that are given to them. They've got a list of things they have to create with a specific set of ingredients, and that's really what's happening. Fader: By the way, as much as it's nice and Sarah gives me credit for the cooking show metaphor, that is not mine; that comes directly from Zach Anderson, the chief analytics officer at Electronic Arts. And it's an important point because not only does it help you really visualize the changes taking place there, but it's that kind of metaphor that he uses internally to try to get people on board. It's hard to go to the creative people and say, “Change everything you're doing.” But to kind of frame it up that way — to make it a challenge, to get the creative juices flowing but in a very different way — to get that across-the-organization buy-in is so vital. And there's so many companies that have good data and good analytics and good discipline, but until they can get the other functional areas on board with them, they're just not going to find all the value that he has been able to find. They spend a lot of time pushing back and really challenging the data analytics folks and making sure that they are coming to them with something that needs to be prioritized back into the business. So both companies have become very good at that as well. MarketingSherpa: The Dodgers is an interesting example because I'm sure you know the famous Moneyball book and movie — Oakland A’s GM Billy Beane discovered there are certain things that baseball scouts thought was important for players. And it turns out, these other analytics are really more important. So, one, did that whole Moneyball idea affect them at all? And two, how did they find the things that were actually most important? Those data points that actually were most important to the marketing side of the business? Fader: You know, it's funny. In a meta way, the Moneyball kicks in here because they spend all this time trying to come up with the better players and all the strategies and all the stuff (that knowledge you see in that book and movie we're seeing on the field today), while they were completely neglecting the business side of everything with ticket sales. So there was a real imbalance in the business. All the professional leagues and some of the club started to notice. ‘Wait a minute. Why don't we carry some of that stuff over here to the areas where we actually make money?’ And so they started getting a little bit more disciplined instead of just whining about secondary market and just the fact that fans weren’t renewing their season tickets. Why don’t we get smarter about it and understand the difference across customers and have a more granular understanding of what each customer is doing, which of course takes us back to mobile. So let's understand what kind of food they're getting, what kind of social media they're using, and let's try to incent them to actually have their phones out and to be using them actively, whether it's in commercial ways to buy things or whether it's just playing games and doing challenges and taking photos. Mobile is going to create both a form of engagement that wouldn't happen if he was home watching it on TV, but also a source of data that can be very leverageable. And I think a really big part of what the Dodgers and lots of other clubs have done is to try to better track … let's call it … the customer journey, through the building and the ballgame-watching experience, and then tie it in with these other, more financially oriented indicators. MarketingSherpa: There is a belief among many companies that since customers who download apps have a higher customer lifetime value, you should get customers to download mobile apps as much as possible. What do you think of these efforts? Fader: No, no, it’s completely bass-ackwards, and it's such a common problem that we find. Not just in this domain but in plenty of others, the idea of drawing causality for something like that is ridiculous. The reality is this, that your better customers are the ones who are more inclined to download the app. And so if you look at it that way, that if you can find who those good customers are, they are going to be the ones who are downloading the app, and they're already kind of born to be good customers with you. So it's not the act of downloading that turns these ugly duckling customers into beautiful swans. The act of downloading is just something that helps us identify who are those ducklings versus swans. It’s not necessarily changing what they do now. I’ll admit there could be and probably is some idea that, okay now that we can engage with them in multiple ways, maybe it will lead to some incremental, opportunistic sources of value that might not have been there otherwise. But it's not nearly as transformational as companies are saying and really in most cases is backwards causality. Toms: I think you also have to look at the types of businesses you have — contractual versus non-contractual. Non-contractual being like your Starbucks customer — if you're making the transactions, let’s have less friction and make it easier for your customers to come into the store and buy coffee. Then I could see the app kind of somehow translating into higher value for those customers because you've now made it easier for them to come to you versus a competitor. And it also makes it easier now for you to track those customers in there and what they're worth to you. So I could see benefit from that standpoint but not necessarily a correlation. 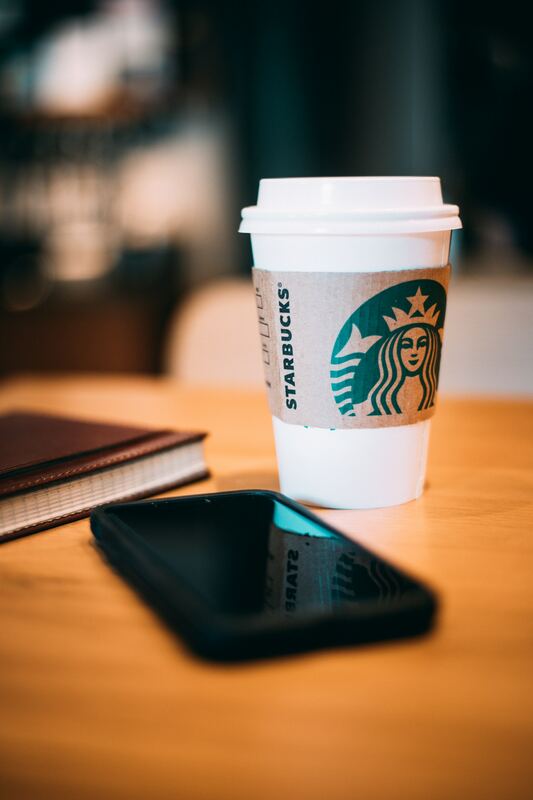 MarketingSherpa: Actually, the next question I want to ask you, and I think you mentioned this in your book, one great example of using a mobile app for higher customer lifetime value is Starbucks. What can other marketers learn from Starbucks about mobile services? Fader: You know, Starbucks is such a great story. I can even give you an interesting update on it. When I wrote my first book, I was actually critical about Starbucks. The company was touted for being customer-centric, I'm talking 10 years ago, but it wasn't for the right reasons. In other words, they had wonderful products, they had a wonderful place where people would consume those products, but they made almost no effort to figure out how customers were different from each other and to use those differences to drive decisions about what new products to develop and how to communicate in different ways to different customers. That led to a lot of the stories that we cover in the new book. And Aimee Johnson just left Starbucks and started a new job as the chief marketing officer of Zillow. I just love that because she's going from one company that became awesome just on the basis of pushing excellent products, but without really understanding who's buying what, and now she's kind of trying the same thing in another sector that hasn't really done much to try to size different customers up and understand the granular level. So it's really interesting to watch people take some of these insights, to take some of these success stories and carry them over into seemingly unrelated domains. MarketingSherpa: Interesting update. And did you want to add anything else about Starbucks in mobile? Fader: It's an outstanding success story. I think at this moment in time there's no company in the US that does mobile payments better than Starbucks. And it's nice to know that one of the big reasons why they became so good at it is their desire not just to make the whole purchasing process more frictionless, but to be able to better understand who's doing what, when. That it was the right customer-centered motivations that allowed them to make these kinds of investments in mobile instead of just a way to reduce costs. Toms: There were some problems though, Pete, if you recall when Starbucks first launched their loyalty program, in particular, through their app where they were tracking. They weren't linking loyalty rewards to the actual value of the purchases. Fader: Yeah, did we even cover it in the book? I don’t recall. In the old days when they first started their loyalty program, it used to be that they give you a point or star or whatever for every transaction you made. And so people being people figured out how to game the system. They’re buying the coffee and they’re buying the biscuit and hey, wait, listen, can you ring them up as two separate transactions so I can get two separate points? One of the early things that Aimee did was to change it from rewarding on the basis of transactions to rewarding on the basis of dollars spent so there’d be no incentive to try to break those things up anymore. And actually, the amount of money that you spend is going to be more predictive of your future value than the mere incidents of the transactions. So it made it much more compatible. And at first, there was some pushback, and people didn't like it. But I think people have grown accustomed to it, and I think they'll implicitly acknowledge that the way that Starbucks sees them in terms of their status in the loyalty program is actually more aligned with the genuine value they bring to the company. So it's just nice that customers have a better sense of knowing where they stand, and that lines up with how the company sees them as well. MarketingSherpa: I want to go back to something I heard mentioned a few times — the frictionless experience. One idea with mobile is that there's kind of a race to the bottom with price. Because customers now not only can just be sitting on their couch and shopping around and price compare, but even go into a brick-and-mortar store where they weren't price comparing before. Now they can easily price compare — walk into Barnes & Nobile while they look up the book price on Amazon. But one of the things you mentioned with the frictionless experience is a way for customers to buy based on lack of friction instead of price. I don't know if you have any thoughts about that from the perspective of price shopping versus customer experience shopping. Fader: Yeah, actually I gotta give a shout-out not to our book but the book by my colleague, Barbara Kahn, in the marketing department. She has a wonderful new book (also published by Wharton Digital Press) on the shopping revolution, in which she actually goes into great detail about this and about how all of these things — custom tracking and frictionless processes — should be part of every company. When the whole thing started back in the late nineties, the scenario that you just painted about the race to the bottom and everyone constantly searching to find the better price, everyone thought that would win out. But it turns out, as you know as a consumer, in many cases that's just not true. You probably don't even know what you paid the last time you bought something from Amazon because it is so darn frictionless and because they have all that data on you. It's just so easy that going to all that extra effort of saving a few pennies just isn't worth it. So in some cases, it does make sense to do it. In other cases, it doesn’t. It varies across people, and it’s just nice that there’s room for lots of different strategies. We're not saying the customer-centric strategy that we're endorsing is necessarily always the best, but it's one that should be considered very seriously. Toms: Even though you may be charging low costs for the actual products you're trying to sell, are there other opportunities you have as a business to provide value-added services? Amazon Prime is a great example. We also use LinkedIn Premium. So, figuring out premium offerings to basically make sure that there's less friction within that buying process but also more value for your best customers and what they’re willing to pay … Amazon Prime just increased their prices. I think a lot of us, I've been a Prime customer for a long time, we're probably not going to cancel even though it was a pretty big hike because we get so much value from that Prime offering, right? Best Buy is a great example that we go into great detail where they weren't able to necessarily compete with Amazon on pricing, but they did figure out a way to do that with looking at their warehouses and how they position themselves there. But there was more that their best customers wanted from them, more in the way of services and expertise around the products that they provide. So this race to the bottom [on price] I don’t necessarily agree with. It may be that you're offering a lower cost on certain things, but there are ways that you can you can provide other offerings your best customers would be willing to pay for. MarketingSherpa: In that case with Best Buy, was the extra value in the fact that they had the brick and mortar location where you can walk in and talk to someone? Toms: Absolutely. What they learned is that they had a huge segment of folks who are coming in and actually wanted help with installation … especially when you look at connected devices, The Internet of Things — installation services support. When you buy something off of an online provider, the relationship kind of ends at that point. So with respect to the support and service of the device itself, and the complexity of these devices just is increasing every few months as more IoT gets released, they learned that their customers actually really did want more help. That’s why they have Geek Squad. And also there is a tremendous amount of training of the on-floor staff about all the products that are coming out. So they are able to speak very intelligently about what's being provided and be that personal advisor. MarketingSherpa: It kind of reminds me of Circuit City right before they went out of business. They laid off all their most experienced salespeople because they were getting the highest commissions. So it was a way to save money. It was something where the retailer kind of shot themselves in the foot because those were also the people helping customers the most and a reason customers came into the store. MarketingSherpa: OK, now let’s get to more of your personal observations. You’re both in a university environment every day with young people and have kids of your own as well. What do you notice from these observations about mobile that perhaps isn’t on the research or marketing industry radar yet? Toms: I have three teenage daughters and a 10-year-old son. And I see those sort of one-to-one connections through their social media. They use social media very differently from my generation. I'm in my 40s. They really are a one-to-one connection or a small group. They have a lot of GroupMe chats and Snapchats, and it's not, sort of, this broadcasting through Twitter and Facebook that I see with my friend group. And so I wonder if that might push referrals in some interesting ways. Fader: Neither of my kids owns a printer, and they just can't understand why anyone would. And we spent a whole bunch of time talking about returning products if you can’t print the shipping labels. 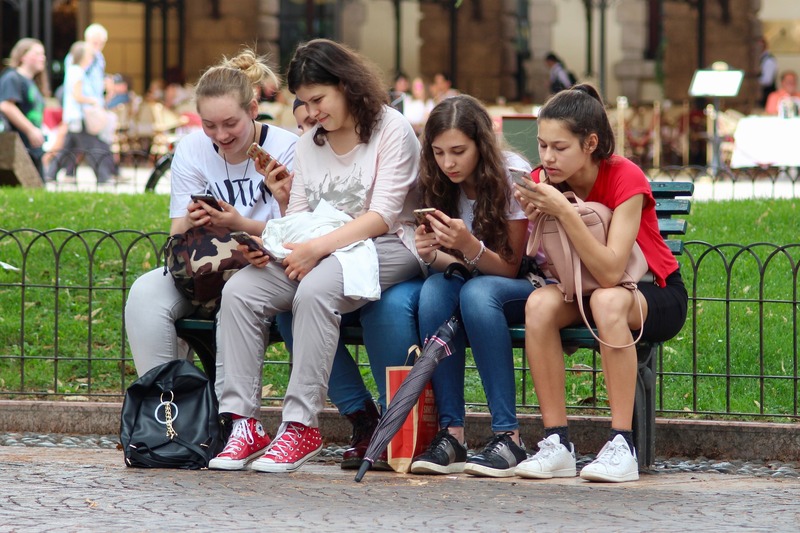 It’s amazing how their reliance on the mobile device as … I don't want to say their only [device] because they all have tablets and desktops … but as their primary device, just drives some of the different kinds of behaviors. Like their willingness to take pictures of receipts and do stuff with that instead of printing things out and signing them. If you don't have a printer, it was so interesting to hear my daughter talk about it. It annoys her to no end that when she wants to return something, she has to deal with paper. There's some companies out there … hey, let's give a shout out to ShopBop … that when you buy stuff from them, they send the return label with the merchandise, and it’s self-adhesive. They kind of know that you're going to be returning a bunch of stuff, and they want to make it easy on you because that's going to encourage you to buy more. It’s just shocking that they have not only free returns but make it so simple. But because of that, you will tend to over order, and they're willing to take on all those costs just because it's going to keep you ordering all the time. So it’s interesting that their reliance on mobile changes the way they work with different kinds of companies. MarketingSherpa: So let's wrap it up with what is your top piece of advice to marketers about mobile. Fader: It’s just so important to get a 360-degree view of each customer. We have to make sure that we’re not seeing a given customer as different people. [We need to know when] the one who's buying in the store, the one who's buying on their desktop, the one who's buying on the mobile phone is the same one — and so, the idea of having that unique identity. And then finding ways to incentivize them to self-identify every time they interact with us and to avoid letting cashiers say, ‘That's okay. I'll just use this one here,’ if someone comes up to buy something and says, ‘I forgot my loyalty card.’ — to avoid that mistaken identity. Toms: I've been a technologist for over 20 years and, quite ironically, I would say not to get distracted by the shiny technology. And to Pete's earlier point — really getting down to the basics and understanding your data and what's important. Running experiments and making sure that you continue in an iterative way to keep testing your hypotheses. MarketingSherpa: Peter, based on what you just said, I wonder what your opinion is on Barnes & Noble. If you're not a member, they always try to upsell you to the membership every single time you buy something. It costs $25. I thought it was kind of pennywise and pound foolish. That in trying to compete with Amazon’s data, they should just give away those memberships, forgo the revenue, but get all that rich customer data to compete with Amazon. What are your thoughts on that? Fader: It's a fantastic point. It's a really, really good point. Not only with them, there are a lot of companies out there … regardless of whether they're putting a membership price on the loyalty program … they’re framing the loyalty program as a standalone profit center. And if the loyalty program can't carry its own weight, then we're not so sure we want to do it. And so it either causes them to put up-front fees on there or to limit the rewards that they give out, and so on. And that's just a real problem that almost goes back to the ShopBop example where they encourage returns as a form of engagement. You want to encourage people to use those rewards. The airlines should stop being so ridiculous about it. It's really good to get people to engage with you in that way. It's just terrible when companies put up barriers. You're absolutely right, and I was always appalled by what Barnes and Noble was doing and might still be doing. You just have to view the loyalty program as a true investment that shouldn't be separated out from all the other activities that you're doing.